Recently there has been some media attention regarding a State Government-funded campaign coordinated by an organisation called One Community. The origins for this story have arisen from the success of a campaign run under the One Community banner called the ‘Learn to Grow’ campaign, and led by the Primary and Secondary Principals Associations which focusses on raising awareness about the Australian Government’s proposed significant cuts to Education funding in South Australia and the impact this will have on thousands of young South Australians. One Community is a social advocacy platform. It brings community organisations, not-for-profits, unions, faith groups, stakeholders and individuals together to collaborate, campaign and create positive change in South Australia. By building a stronger civil society, One Community’s members and campaign partners promote and advance the rights, interests and welfare of everyone in our community on issues close to them. One Community is not a community service provider, meaning it doesn’t provide support services to those in need. Put simply, One Community advocates for change, similar to platforms such as getup.org or change.org. AnglicareSA believes the One Community platform is delivering what it set out to achieve – getting important issues out in the community and advocating for change. AnglicareSA or the other founding partners do not get involved in each campaign, but rather supports the concept of a platform for social change. 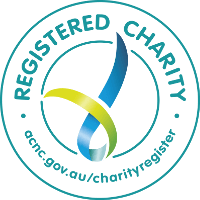 The current partner organisations for One Community are AnglicareSA, Uniting Communities and Community Centres SA, and I am the Chair of the Board. Importantly I’d like to address two key questions regarding AnglicareSA’s involvement in One Community – why advocacy and why advocacy related to education funding? In accordance with our mission and values, sometimes we have to speak out for the disadvantaged and vulnerable. One Community was established to provide a place for community concerns to be jointly addressed as campaigns to advocate on issues that are unjust or inequitable. Access to quality education is fundamental to breaking the cycle of disadvantage and schools provide one of the best ways to prevent later poverty and to engage in early intervention with children and families. Also members of the public could be left with the impression that AnglicareSA somehow benefitted from the State Government Grant or that funds were redirected from welfare. I can say categorically that AnglicareSA did not receive any funds to undertake this campaign nor did AnglicareSA request any funds. The grant provided by the State Government was provided to the separate legal entity One Community Inc. And as stated above, along with other members and partner organisations our aim is to promote and advance the rights, interests and welfare of everyone in our community. Finally, it’s important to point out that AnglicareSA has no alliance with any political party. We will support initiatives that help us to deliver our vision of justice, respect and fullness of life for all.